This week we are featuring fiction from the very talented Tracie McBride. Tracie is the principal author of the the Conquest of the Gods main narrative in addition to the Greek short story titled ‘A feast for the crows’. Tracie is from new Zealand, and lives with her husband and three children in the city of Melbourne here in Australia. Like all of our other authors, Tracie comes from a Horror writing background. We have found that by using writers that are more accustomed to writing for an adult audience, the fiction is far more grittier and befitting the setting than what most wargamers are accustomed to. As we are aiming for an adult audience we do not need to tip toe around the gritty elements of war that our authors have done so well to inject into the games tone and design through the fiction. As with all of the short stories, they do not focus on the gods themselves but rather the mortals that are fighting the battles at the bidding of the gods. http://www.demigodgames.net/wp-content/uploads/2013/04/Logo-small.jpg 0 0 Demigod Games http://www.demigodgames.net/wp-content/uploads/2013/04/Logo-small.jpg Demigod Games2014-01-31 17:40:342014-01-31 17:40:34Greek fiction preview. In our first large model preview we snuck in a picture of the Minotaur miniature for our Greek range. Admittedly what we showed you then was not the final model, despite at the time – the model not only being finalised but it had also been 3D printed and was ready for moulding. 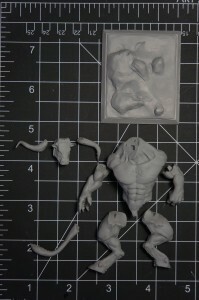 The minotaur will be one of the Monsters featured in the starter army boxed sets, each of the starter box sets for each army will include one 70mm scale resin and metal miniature. We have shown off the Oni in detail and despite them both being finished and sitting with our casters for moulding, we have failed to show off the Norse Troll or the Minotaur. Today we will show you a more detailed look at the minotaur and will also give you a better idea of the scale. We will also take the opportunity to show you what our 3D prints look like from one of the three technologies we use for 3D printing. 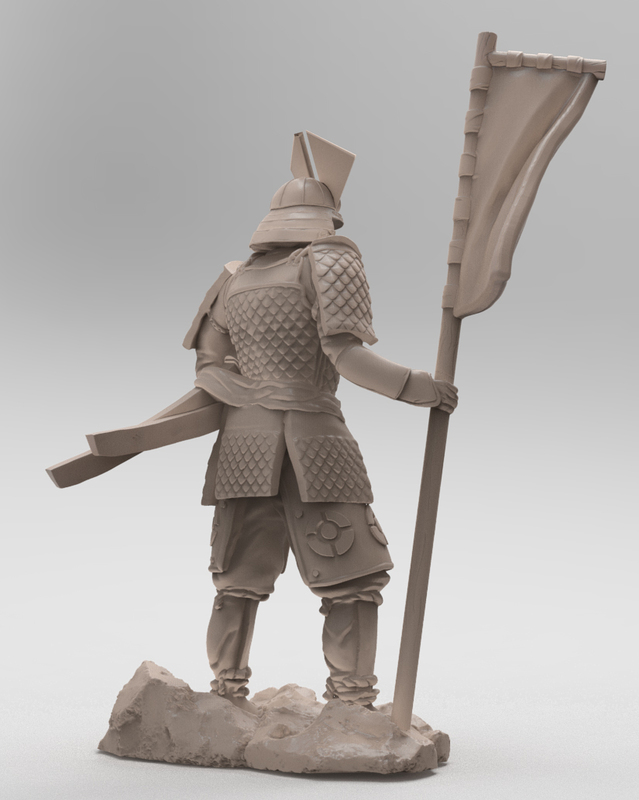 The quality of the sculpt and print are astounding and we are very proud to (finally) show this model off to you! Sculpted by Michael Barnes, the Minotaur’s design follows our ‘what if it were real’ philosophy that we take on when designing the mythological models. 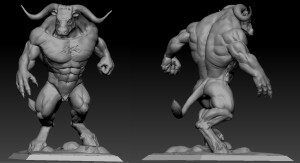 Originally the minotaur was going to be a more classical ‘man sized’ sculpt, but we knew very early on that this wouldn’t work because it simply did not look intimidating at the smaller scale when paired up against the other models we were designing at the same time. The design evolved into the model being more in line with the Norse Troll at a 70mm scale. 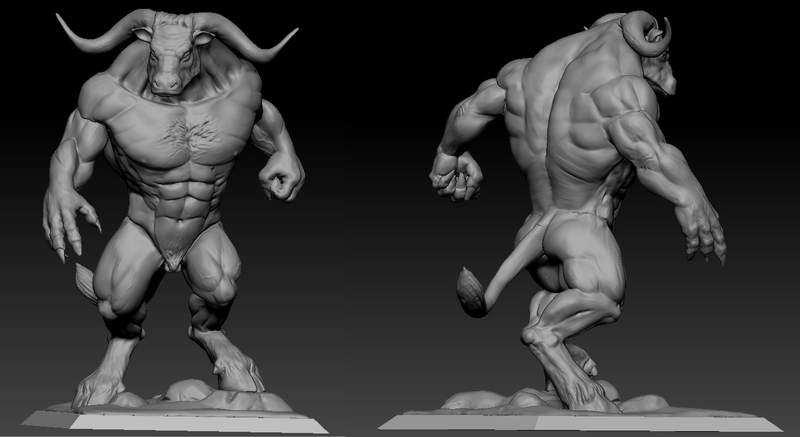 To do this we made him more bull like, referencing both animal and human anatomy to bring you this amazing sculpt. Mikes 3D model went through a few revisions until we got it perfect, the final 3D model is the one pictured below. Here are some cleaned up parts next to Thor and a Hersir model for scale reference. 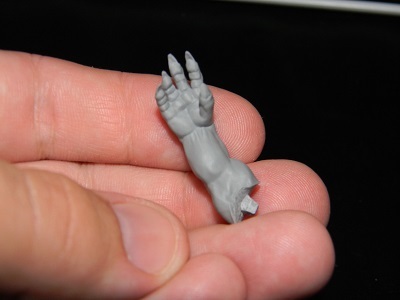 The Hersir is exaggerated 28mm scale with true anatomy. As you can see, a 70mm scale miniature is pretty big! The metal parts of the Minotaur have already gone through the test casting stage and are ready for final vulcanised moulding. For this model the metal parts will cover the tail, horns and the rocks for the base – We are also considering doing the head in metal. The Resin parts are just waiting to be moulded up for resin casting. 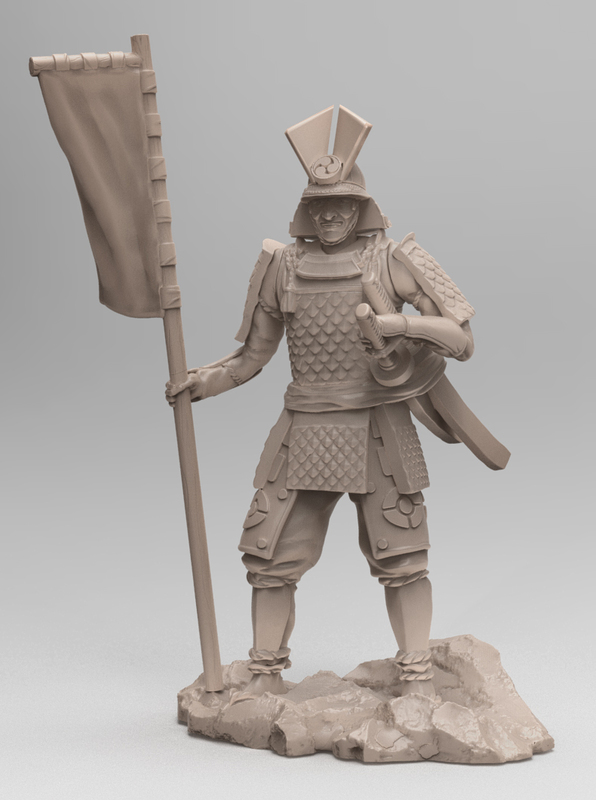 We are confident that people will really like this model once we launch the Conquest of the Gods kickstarter and as such we have included him in to the Greek starter set.